every Sunday afternoon at 5PM local time. Join us if you hear us. Below is a picture of my S meter showing one of the stations in Duxbury, MA as seen from my station in Scituate, MA. 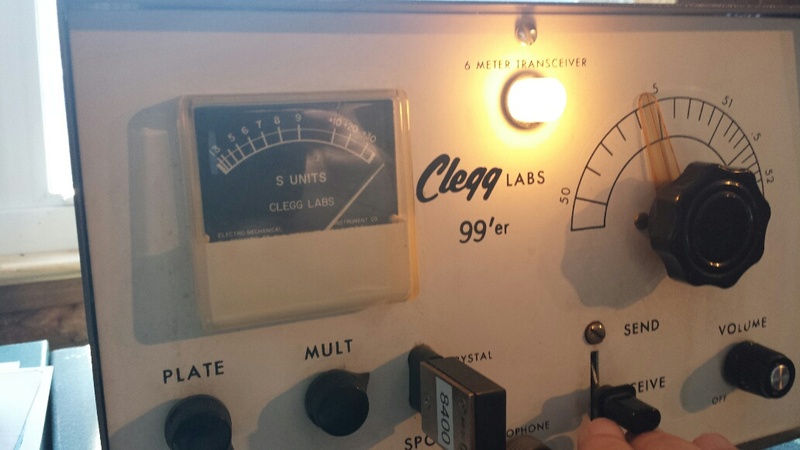 Oooh, a Clegg 99'er! That was my very first rig! Lessee: do I still have the T-60 downstairs? Where's my old Squalo? Listened from about 4:30 to 5:30 but didn't here anything due to my less than adequate station. Looks like a 6 meter antenna upgrade is needed here. I'm in Middleborough but work Sundays 12:30-20:30 local. No 6 antenna yet, but I do have a Hallicrafters HA-460.